What do you Need to Know when Planning your Custom Web Design? Custom web design can give your business the energy and edge it needs to pull ahead of the competition. Amateur web sites, built using a generic template, have been superseded by professional, sleek custom designs that enhance and promote your unique and growing business. The decision to include a web developer in your team can make all the difference between lagging behind your competition and racing ahead of the crowd. However, you can’t just engage a developer and walk away. They will need your knowledge to create the custom web design that is right for your business. So what do you need to know when planning your custom web design? This might sound simple but the purpose of your business will determine the type of web design you need. If your business is selling a few products you may want a small site with a shopping card, for no more than a dozen or so items. Or you may need a full service ecommerce site capable of selling hundreds of products. If your product is a service, such as a chiropractor or dentist then you need a custom web design that describes and promotes your service rather than selling items or products. When customers land on your website what do you want them to do? Is the most important action for them to subscribe to a newsletter or a blog? 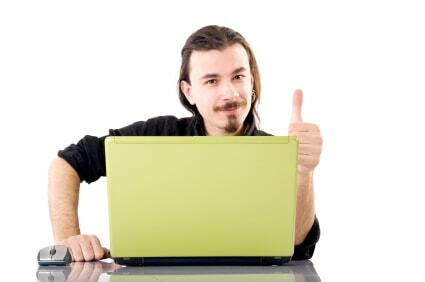 If so, then the main purpose of your website is to collect customer information. If your business has a large inventory then the main purpose of your website may be to sell products, and if you sell a service – the main purpose may be for people to contact you and make an appointment or request further information. Can the web designer help you achieve your goals? Far more important than how much a custom web design will cost is whether the designer can deliver the bottom line – customers to your website. A good web designer will research your business, your competitors and your market to ensure that they create the perfect custom web design for your business. Ask for evidence of their success. There is no point in engaging a web designer who cannot help you achieve your business goals. Most custom web designers will have a portfolio of their work already on their website, demonstrating their success to potential clients. So call some of these companies and ask them how their new website has affected their sales. If you are looking for measurable results from your new custom web design, then engaging an experienced and successful web designer is a wise business decision.